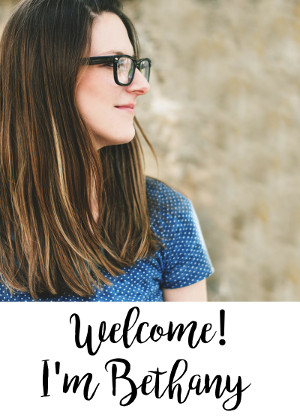 The post has contains affiliate links which means I get a small commission (at no cost to you) if you make a purchase with one my links! Thanks for supporting Whistle and Ivy! Last year I totally failed Valentine’s Day. The Boy was going to a tiny preschool taught out of the teacher’s basement. I didn’t know what to expect and I didn’t receive a note about bringing Valentines. I should have been proactive because The Boy came home with a bag full of candy and I didn’t give him anything to give away [face palm]. This year I will be on top of it. 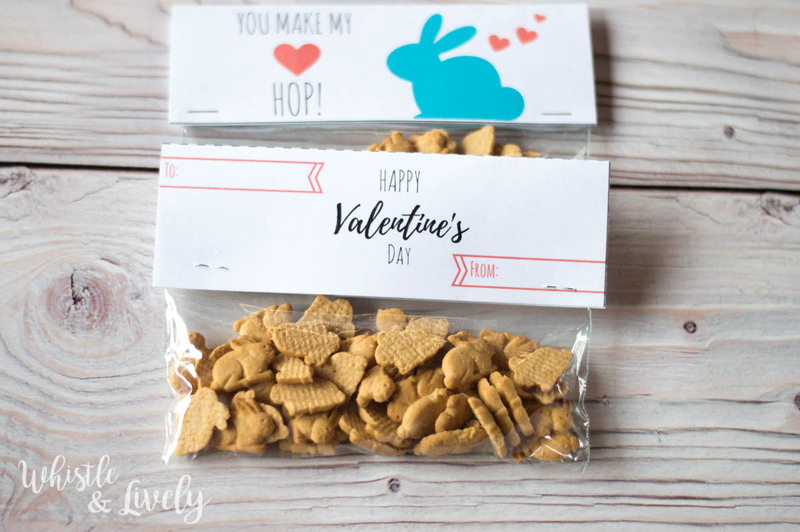 These cute little bunny-shaped crackers are an exciting treat in my house, due to my sugar dictatorship, and they make a very cute Valentine! 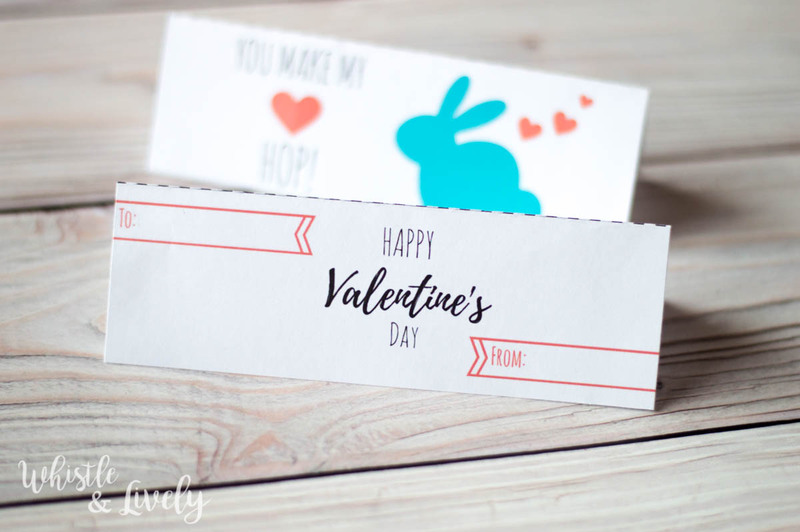 They are also nice because of the easy and free Valentine’s Day printable to do go with it. 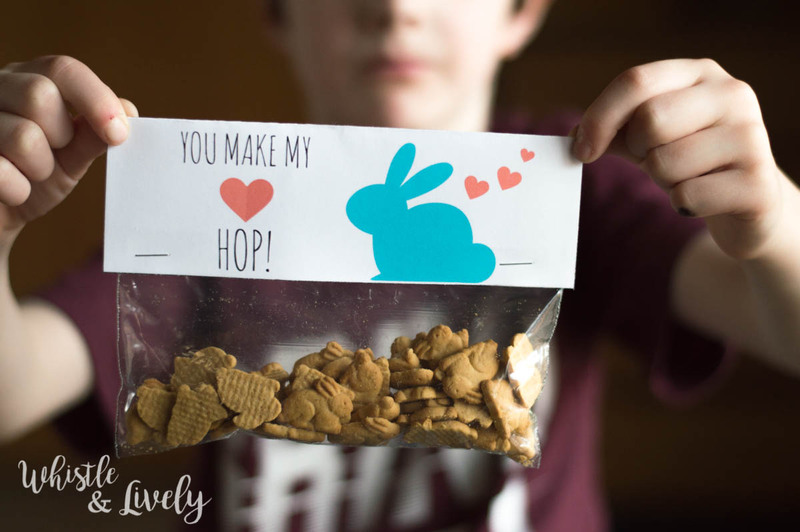 Print this printable. I prefer using a thinner card stock, instead of regular printer paper. Cut them out, taking care to not cut along the dotted line. A paper cutter is very useful here. 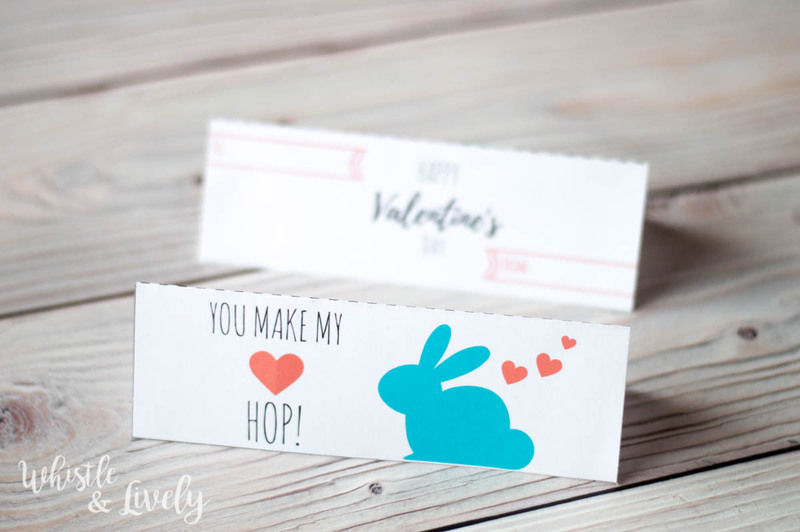 Fold the paper down the dotted lined. 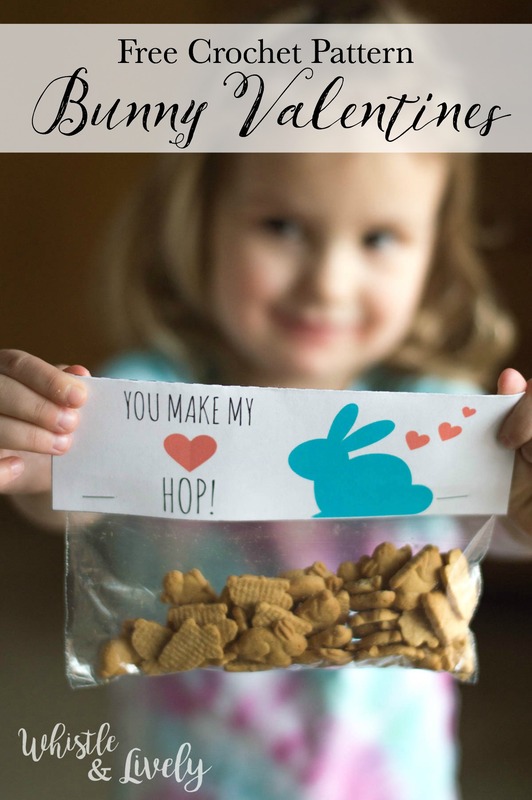 Fill baggies with bunny crackers. Staple the printable to the baggies, taking care you staple all the way through and it goes through the baggie. Super easy right? 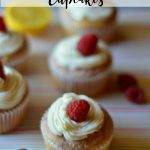 I LOVE easy and these are super easy. 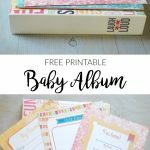 Easy Baby Album Printable – Free Printable! All Rights Reserved.Unauthorized use and/or duplication of this material without express and written permission from this blog’s author and owner is strictly prohibited. 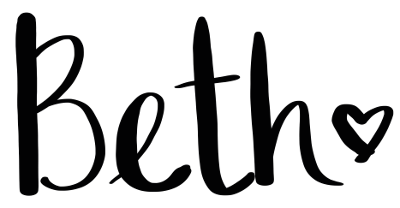 Excerpts and links my be used, provided full and clear credit is given to Bethany and Whistle and Lively with appropriate and specific direction to the original content. 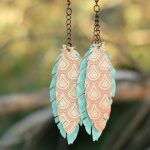 Do not take my photos or use them to sell your items.